Paragon Life Coaching provides individual life coaching over the phone or using Skype. For those near southeastern Pennsylvania, in-person life coaching can be provided at the office, located at Warehouse210 in Lancaster. One-on-one coaching at work can also be provided on-site for those in the Lancaster area. Presentations are held on-site for companies and organizations in eastern Pennsylvania, Maryland, New Jersey, and Delaware. Please see Classes for the location and dates of any upcoming self-improvement classes. ​Paragon Life Coaching is built on the values of personal choice and quality of life. Ashley, principal coach for Paragon Life Coaching, empowers you to make the changes you want to make so you can live a better life. Ashley approaches the coaching relationship under the assumption that you are the expert about yourself and she is the expert about psychology and the change process. Collaboratively, based on your agenda, you and Ashley will work together to improve your life--whatever that means for you. 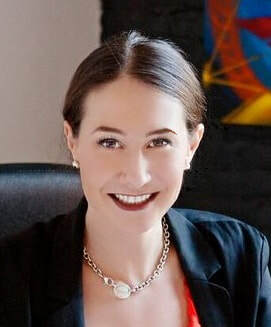 To facilitate the life coaching process, Ashley draws on empirically-supported professional coaching research, neuroscience, psychology, and her years of experience enabling change with individuals. By partnering with Ashley and committing time and energy, the life coaching process enables you to heighten your self-awareness, increase motivation, better navigate important decisions, learn specific skills, discover effective strategies, develop important habits, find new perspectives, and build on your strengths to meet the goals you have, yield the life you want, and enjoy your life more. My name is Ashley Belsinger. Since I had my first summer job helping children with special needs what seems like eons ago, I have been committed to supporting people with improving their quality of life. My journey has included extensive "book" education as well as practice. I earned my undergraduate degree in psychology and masters of science in clinical psychology; I have also passed the licensed professional counselor (LPC) exam. Additionally, I am constantly continuing my education by attending seminars and trainings by some of the biggest names in the field of psychology (including David Burns, Carlo DiClemente, Donald Meichenbaum, etc). With 5 plus years experience as a therapist, I am attuned to the dynamics of an effective working-for-change relationship. I use an eclectic approach to life coaching that utilizes cognitive behavioral assumptions and learning theory, motivational interviewing, positive psychology, and mindfulness in conjunction with findings from peer-reviewed journals on life coaching. I am a member of the Institute of Coaching, associated with Harvard University, and the American Psychological Association's Division 13, Society of Consulting Psychology. My personal values of giving back and enjoying life have guided my choices throughout my life, including my career path. There are few things that feel as amazing as knowing you have played a role in someone else's life being better. I am confident that we can work together and improve your life!